Fyodor Dostoyevsky (1821-1881) is arguably the greatest novelist of all time. He cast a long shadow over world literature, and subsequently influenced many great writers, from Hermann Hesse, Marcel Proust and Franz Kafka, to Ernest Hemingway, Gabriel García Márquez and Jack Kerouac. Dostoyevsky had a profound insight into the human condition. He was much more than a novelist: he was also a psychologist and a philosopher. In his novels, Dostoyevsky explored subjects such as free will, the existence of God, and good and evil. The characters in his novels are most often portrayed as living in extremely impoverished conditions. They usually suffered with equally impoverished states of mind, and were always placed within the social and political context of life in nineteenth century Russia. Dostoyevsky was, perhaps, the most famous epileptic in history. The condition had a major influence on his philosophy and his conception of life. A recurring theme in his writing, epilepsy is something he analysed in great detail in many of his novels. Some have speculated that the course of the illness was reflected in how his writing changed throughout his life. In Dostoyevsky, neurologists have a rich source of information about epilepsy. Some of this information is first-hand, in the form of the writer’s own descriptions of his seizures and symptoms, as related in his various correspondences. There are also numerous second-hand descriptions of Dostoyevsky’s condition, provided by his second wife, physicians who treated him, and friends. And, of course, there are the accounts of epileptic characters in his novels, which one can safely assume are based on his own experiences. Dostoyevsky’s own descriptions of his condition, and those of his relatives and acquaintances, contain descriptions of various types of epileptic seizures. Dostoyevsky himself wrote, in a letter to his brother Mikhail dated 1865, that he had “all sorts of attacks”. Consequently, diagnosing Dostoyevsky’s epilepsy has proved extremely difficult, and there has been disagreement among neurologists about the nature of his condition; some have diagnosed him with generalized epilepsy, others believe he suffered from temporal lobe epilepsy, and yet others suggest that he may have had a combination of the two. Dostoyevsky called himself an epileptic…it is highly probable that this so-called epilepsy was only a symptom of his neurosis and must accordingly be classified as hystero-epilepsy – that is, as severe hysteria. The most probable assumption is that the attacks went back far into his childhood, that their place was taken to begin with by milder symptoms and that they did not assume an epileptic form until after the shattering experience of his eighteenth year – the murder of his father. Dostoyevsky was the second of seven children. His father, Mikhail Dostoyevsky, was a retired military surgeon who served as a doctor at Moscow’s Mariinsky for the Poor. 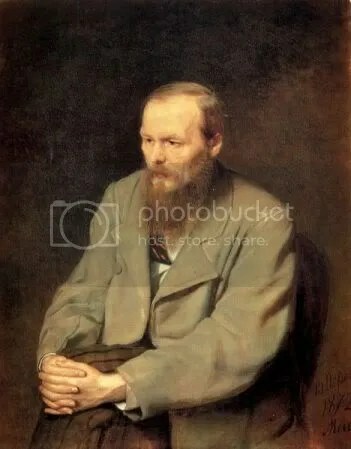 He was also an alcoholic who was prone to violence, and, although there are numerous accounts of the cruelty with which he treated his children, Dostoevsky’s personal correspondences suggests that he and his father had a loving relationship. Nevertheless, Freud asserted that the writer hated his father and wished him dead, and that Dostoyevsky’s “alleged epilepsy” was a physical manifestation of the guilt he felt when his father died. Thus, according to Freud, Dostoyevsky’s epilepsy was psychological, and not physiological, in origin. Dostoyevsky’s father died in 1839, but the circumstances surrounding his death are by no means certain. According to one account, he was murdered by his own serfs, who restrained him during one of his drunken rages and poured vodka down his throat until he drowned. Another account holds that he died of natural causes, and that a neighbour invented the story of his murder so that he might buy the Dostoyevsky estate at a low price. Regardless, neurologists and scholars of the Slavic language and literature are in agreement that Freud’s diagnosis of “hystero-epilepsy” was wrong. They cannot, however, agree on exactly when it was that Dostoyevsky’s seizures began. Some believe that they began in Dostoyevsky’s childhood, with the first seizure taking place in 1831, when Dostoyevsky was 9 years old, while others claim they began in his teens or early adulthood. Dostoyesky himself stated that his seizures began one Easter night during his exile in western Siberia. He had been arrested on April 23rd, 1849, for his involvement with the Petrashevsky circle, a group of liberal intellectuals. After his arrest, Dostoyevsky was subjected to a mock execution, as a form of psychological torture. Subsequently, he was convicted of political offences against the Russian state, and taken to Semipalatinsk prison in Omsk; some researchers have suggested that the trauma of the mock execution is what triggered his epilepsy. From 1860, Dostoyevsky recorded the dates of his seizures in a notebook; from that time, up to his death some 20 years later, he documented 102 seizures. This provides the researcher with precise information about the frequency of his attacks, and shows that it was not until 1857, soon after Dostoyevsky’s first marriage, that his condition was unequivocally diagnosed as epilepsy. According to biographical accounts, Dostoyevsky suffered no more than 10 attacks of epilepsy in the 20 years following his first seizure, whenever that may have been. From 1860, Dostoyevsky recorded the dates of his seizures in a notebook; from that time, up to his death some 20 years later, he documented 102 seizures. This provides the researcher with precise information about the frequency of his attacks. In 1869, for example, he noted that, in previous years, he had been experiencing a seizure about once every three weeks, and that one attack was often followed after a short interval by a second one. [Dostoyevsky]…walked about the room while I sat at the table. He was saying something lofty and joyous; when I encouraged his idea with some comment or other he turned to me with an exalted look, showing that his emotion was at its height. He stopped for a moment, as if seeking words for his thought, and had already opened his mouth. I gazed at him with fixed attention, sensing that he was about to say something unusual, that I would hear a revelation of some kind. Suddenly there came from his open mouth a weird, longdrawn-out and senseless sound, and he fell unconscious on the floor. This time the fit was not a strong one. The effect of his convulsion was that his whole body stretched out and he foamed at the mouth. In half an hour he regained consciousness and I walked home with him. Like most of the autobiographical accounts, and those written by other acquaintances, this is a description of a generalized convulsive seizure. This type of seizure, known as a tonic-clonic or grand mal seizure, is characterized by abnormal electrical activity in both hemispheres of the brain; this causes a rigid extensor spasm in which all the muscles in the body contract, which is followed immediately by loss of consciousness. Fyodor Mikhailovich [Dostoyevsky] was talking with my sister and was very excited; suddenly he became pale, lurched on the divan and began to lean over to my side. I looked with much astonishment at the change in his face; suddenly came a fearful cry, a cry that had nothing human about it – almost a howl and my husband continued to lean over more and more. According to Dostoyevsky, most of the seizures of this type occurred at night, when he was either alone or with his spouse. But there are other accounts of seizures which occurred during the daytime, in the presence of other people. These attacks were usually preceded by something called an “ecstatic aura”, which is a warning of an impending seizure. The aura sometimes consists of odours, lights, or other sensations; at other times it is just a “gut feeling” that one is about to experience a seizure. It is always followed by loss of consciousness, and is characteristic of temporal lobe epilepsy, which is rarer than generalized epilepsy. As a result of his fits he would sometimes bruise himself in falling, and his muscles would hurt him from his convulsions. Now and then his face turned red and sometimes splotches appeared. But the most important thing was that he lost his memory and for two or three days he would feel utterly broken. His mental condition was also grievous: he could scarcely overcome his anguish and hypersensitivity. The nature of this anguish, in his own words, was that he felt he was some kind of criminal; it seemed to him that he was weighed upon by mysterious guilt, by a great crime. The most notable epileptic characters in Dostoyevsky’s novels are Prince Myshkin in The Idiot and Smerdyakov in The Brothers Karamazov. Myshkin is almost certainly an autobiographical character, based on Dostoyevsky’s own experiences of epilepsy. Through Myshkin, Dostoyevsky provides the most vivid literary accounts of the ecstatic aura, and he also depicts how epileptics are perceived by society. In his fictionalized accounts of his epilepsy, particularly as portrayed through Myshkin, Dostoyevsky emphasises the reactions of those people who witness the seizures. Myshkin is portrayed as a Christ-like figure whose emotions and intellect have been arrested by his illness. He is ostracized by those around him, partly because of his illness (the “idiot disease”). It is by his accounts of epilepsy, and the stigma attached to it, that Dostoyevsky has contributed hugely to the destigmatization of the condition. He was thinking, incidentally, that there was a moment or two in his epileptic condition almost before the fit itself (if it occurred in waking hours) when suddenly amid the sadness, spiritual darkness and depression, his brain seemed to catch fire at brief moments…His sensation of being alive and his awareness increased tenfold at those moments which flashed by like lightning. His mind and heart were flooded by a dazzling light. All his agitation, doubts and worries, seemed composed in a twinkling, culminating in a great calm, full of understanding…but these moments, these glimmerings were still but a premonition of that final second (never more than a second) with which the seizure itself began. That second was, of course, unbearable. This very famous account of an ecstatic aura has helped neurologists to localise the origins of Myshkin’s, and hence Dostoyevsky’s, epileptic seizures. The emotional content of the aura suggests that this type of seizure was caused by abnormal electrical activity in parts of the temporal lobe; the emotions are associated with activity in structures of the limbic system – specifically, the hippocampus, amygdala and neocortex of the temporal lobe. The Idiot was written in 1867-68, when Dostoyevsky was having emotional and financial difficulties. With his wife, he set off for Europe, travelling from one city to the next, to avoid his creditors and to seek treatment for his epilepsy. This was a period during which Dostoyevsky experienced a number of severe seizures, perhaps as a result of the psychological burden of his circumstances. The air was filled with a big noise and I tried to move. I felt the heaven was going down upon the earth, and that it had engulfed me. I have really touched God. He came into me myself; yes, God exists, I cried, You all, healthy people, have no idea what joy that joy is which we epileptics experience the second before a seizure. Mahomet, in his Koran, said he had seen Paradise and had gone into it. All these stupid clever men are quite sure that he was a liar and a charlatan. But no, he did not lie, he really had been in Paradise during an attack of epilepsy; he was a victim of this disease as I am. I do not know whether this joy lasts for seconds or hours or months, but believe me, I would not exchange it for all the delights of this world. Several other lines of evidence point to temporal lobe epilepsy. Firstly, two notations by Dostoyevksy describe a speech disorder following some of his fits: one entry in his diary reads “I was a long time unable to speak”; another reads “When writing I still made mistakes with the words”. These accounts of impaired speech following a seizure (a symptom known as postictal dysphasia) would also suggest that the origin of Dostoyevksy’s seizures lay in the medial region of the left temporal lobe, because activity in this region of the brain would likely affect Broca’s area, the sppech centre in the left temporal lobe. Also, in 1880, while he was writing his last novel, Dostoyevsky’s 3 year-old son Alyosha, died of epilepsy. Of all the known types of epilelpsy, only three are known to have a genetic component, and temporal lobe epilepsy is one of them. Thus, it transpires that Smerdyakov had real epileptic seizures, but also acted out sham non-epileptic seizures. Evidently, Dostoyevsky was well aware of the advantages of the ability to stage sham seizures, and may have done so himself on some occasions, to avoid over-emotional situations with his spouses or encounters with those he owed money to. The so-called “intellectual aura” (I call it the “dreamy state”) is a striking symptom. This is a very elaborate or voluminous mental state. One kind of it is a “reminiscence”; a feeling that many people have had when apparently in good health. Dostoyevsky’s vivid descriptions of the aura have therefore led many researchers to diagnose him with temporal lobe epilepsy. But some believe he suffered from generalized epilepsy with secondary ecstatic epilepsy. Dostoyevsky may have suffered mild epileptic attacks in his early years; later on, his condition may have been exacerbated by certain events in his life – exile, mock execution, the burden of debt, and even his compulsive gambling – so that his attacks were punctuated every now and then with more severe seizures that were preceded by auras. Another possibility is that Dostoyevsky experienced generalized seizures that were triggered by focal activity in the medial temporal lobe. Because of his epilepsy, Dostoyevsky was, to borrow the title of his second novel, a “double man”; a rational, exalted being on the one hand, and, because of his illness, a mystical and base creature on the other. It seems that as his life progressed, and his epilepsy became more severe, the latter persona prevailed, as evidenced by the increasingly mystical nature of the work produced later in his life. DeToledo, J. C. (2001). The epilepsy of Fyodor Dostoyevsky: Insights from Smerdyakov Karamazov’s use of a malingered seaizure as an alibi. Arch. Neurol. 58: 1305-1306. Alajouanine, T. (1963). Dostoiewski’s epilepsy. Brain 86: 209-218. I have epilepsy, although it is a distant relative of the epilepsy in popular media. It’s called Complex Partial Status Epilepticus (CPSE), and the form is so rare it had no Wikipedia page before I wrote one. The seizures are stress-induced and almost always after I wake up from sleep. They seem to be located right on the temporal-frontal border on the left side – I figure this based upon my symptoms. My aura is often auditory, which I believe Hughlings-Jackson talked about in some of his papers. Sometimes I hear the same song in my head with an inability to remove it from my thoughts. In my episodes, I experience a general confusion (e.g. inability to finish sentences), but no convulsions except in my face or neck. Coincidentally, my neurologist is R. Ed Hogan, the author of the paper on Hughlings-Jackson. I write about my epilepsy periodically in my blog, as I find it difficult to tell people I have epilepsy with no explanation, when all they think about is tongue swallowing and foaming at the mouth. As for the link with creativity, I personally can see differences in many of my artistic endeavors since I was first diagnosed four years ago. However, it’s difficult to separate the emotional effect that the trauma had from the neuroanatomical effect. For example, do I now always write about detached characters because I personally feel vulnerable, or is it the result of a Phineas Gage-like trauma of part of my frontal lobe? Interesting blog and interesting thoughts, congratulations on your award, it looks like you deserve it. I have been taken off all meds that would agaravate the Chorea for ten days. My doctor has not seen me since that time. Yesterday evening, I got out o my cr and started to my mail box. I fould I was unable to take anything but 6 to 88 inch short choppy steps. My hand and other parts of my body was shaking. Fo the next three hours, I expeerienced the samy symptoms except when I was sitting or lying down only moveme nt of my legs and arms was involved with only decreased moveme. I do not know if this is th reply you had in mind but here it is.